The Managing Director of the Nigerian Ports Authority (NPA) Hadiza Bala Usman, has disclosed that some government agencies have failed to comply with the Presidential Order on the Ease of Doing Business at the seaports. Ms Bala Usman thereby wants the intervention of the Vice President, Prof. Yemi Osinbajo, to address the issue. The order specially streamlined the activities of all agencies in the nation’s seaports to achieve the 24 hours cargo clearance. 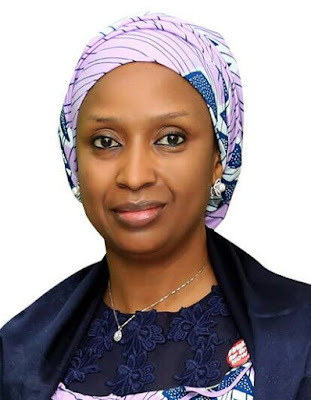 Receiving a delegation of the Association of Nigerian Licensed Customs Agent (ANLCA) leadership in her office recently, Ms Bala Usman said that the way some government agents flouted the order had limited its positive impact and that the Federal Government should know those flouting the rules. The Managing Director who was responding to ANLCA leadership complaints of some operational difficulties and encumbrances at the ports, explained that it was regrettable that some agencies had yet to fully comply with the order. While assuring that the Authority would continue to fulfill its own part of the order she lamented that the organisation had the limitation of compelling other agencies to do what they are supposed to do under the presidential directives. She said: “NPA is implementing its own part of the order. We cannot compel the other agencies to do what they are supposed to do”, adding that aggrieved stakeholders should also inform the appropriate authorities of defaulting government agencies. Earlier, National Vice President ANCLA, Dr. Kayode Farinto had told the Managing Director the need to intervene to ensure that officials of the Nigerian Agricultural Quarantine are prevented from entering the ports and also appealed that NPA should ensure that the newly constructed temporary Truck Park at Tin Can Island Port (TCIP) be put to immediate proper use.